If you’ve recently suffered an injury in a car or other accident, then you know that one of the hardest parts of recovering can be the financial hits, especially if you’re out of work due to your injuries and facing a lawsuit on top of everything else. That’s why people across Portland and the rest of Maine are taking advantage of lawsuit loans that can help them pay the bills when they face litigation. An injury may lead to expensive medical and surgical bills. You may be unable to work and bring in enough income to cover such bills. And if you’re going through a personal injury, medical malpractice, or similar lawsuit, you may be waiting for months on end for a settlement as it drags on in court. 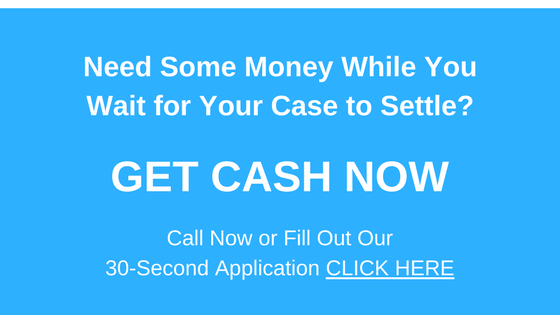 Pre-settlement cash advances, or lawsuit loans, are the perfect solution to help you pay the bills, buy necessities, and even get a little stress relief while you await the outcome of your case. Plaintiffs in Portland, Cumberland County, and the rest of Maine have been able to get qualified for just such a loan in as little as 30 seconds, and have received as much as $5,000 in just 24 hours. If you think a lawsuit loan would help you make ends meet while your case is in litigation, then it’s time for you to contact Interstate Lawsuit Funding. Our direct lending service is staffed with a team of loan professionals who know the ins and outs of Maine law and are fully qualified to make a fast decision about your eligibility. Whether you’re in the beginning, middle, or end stages of your case, the cash we offer might be just what you need to make it through those lean times while you wait for a decision. To get started, fill out the simple, 30-second application on our website, or give us a call to discuss the specifics of your case. We’ll reach out to your attorney and determine your eligibility for a loan, and the amount. As a direct lender, we’ll be able to send the money right to you as soon as we determine your eligibility. Better yet, our pre-settlement loans are non-recourse, which means that they’ll either be paid back from the proceeds of your settlement, or you’ll owe nothing if your case fails to settle. Either way, you won’t pay out of pocket. There are plenty of qualified personal injury and litigation lawyers in the greater Portland region (click here). If you live in Portland, the surrounding areas of Cumberland County, or anywhere else in Maine, you should contact Interstate Lawsuit Funding today to see if we can help you get through a personal injury, negligence, slip and fall, medical malpractice, burn injury, or other type of lawsuit. Find our 30-second application on our website, or call us at 954-946-0487 to get the process started.